I knew no one could resist die cuts. Will we get a bite on this week's offering? How about 6 mini cards. Sorry for that tease, Owl. 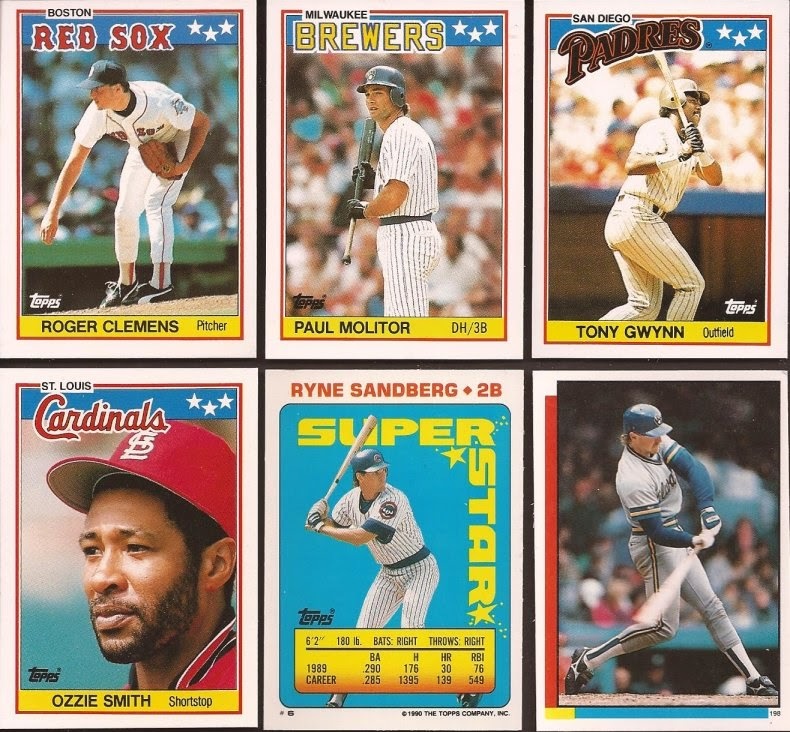 So here we have 6 late 80's Topps minis. The first four are from the ''88 Topps UK mini set. The last two are '90 Topps Yearbook stickers. The sticker on the front of the Ryno is Albert Belle. The card on the back of Yount is Doc Gooden. That Tony Gwynn is outstanding. Would something from the Baker's Dozen be enough? ?